Hello there, I´m Patrick the CCO in our team. I am responsible for the graphical aspects of our apps. Since we are specializing in producing apps of famous board games one of my main tasks, in the process of the adaption, is to find an appealing way to keep the original look of the board game while meeting the requirements and restrictions of a mobile device. So in our blog I would like to continuously write something about illustrators and graphic designers of the board games of our licence givers. Currently we are working on our app of Le Havre – The Inland Port which was designed by Uwe Rosenberg and illustrated by Klemens Franz. Klemens runs an advertising agency and specializes in illustrating board games (Find his homepage here: http://www.atelier198.com/). 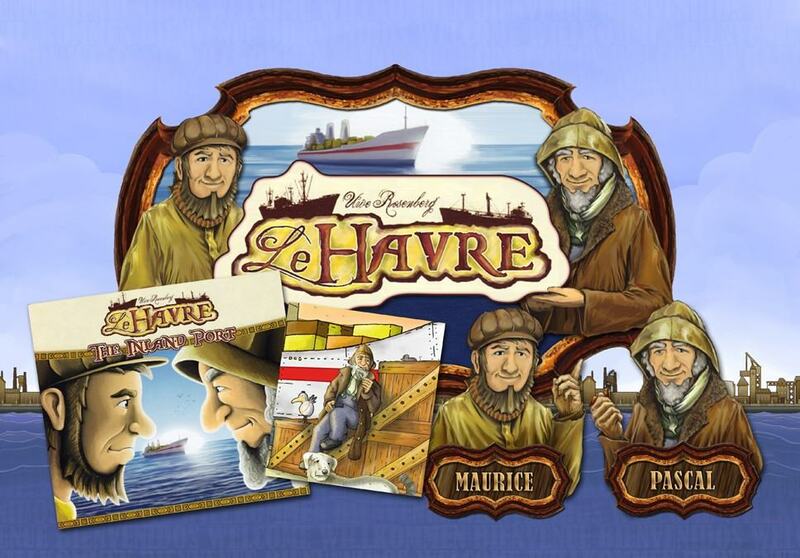 For the cover of the Le Havre – The Inland Port board game box Klemens created two fishermen. We gave them the names Maurice and Pascal, for we had further use for them in the app. In order to keep the optical appearance as close as possible we asked Klemens for more samples of those characters and we received some other artworks where we could see the whole face as well as their clothes. In the image you can see what we came up with.